Sausages may look awfully tasty on the plate, but few would perhaps wish to know the entire sausage-making process. These days, while some Wall Street executives and panda-huggers are eager to cheer for China’s economic progress, they may have skipped the latest media headlines on massive rights abuses in the Middle Kingdom. Recently, 15 Beijing-based Western ambassadors co-authored a letter requesting a meeting with Chen Chuanguo, the Communist Party chief in Xinjiang Province, where some 1 million Uyghurs are reportedly detained in re-education camps. China is a signatory to the Universal Declaration of Human Rights and a permanent member of the powerful U.N. Security Council. Over the years, it appears that the United Nations and the international community have grown accustomed, if not indifferent, to the communist regime’s rampant human-rights abuses. As a matter of fact, China was just granted a seat again last week at the U.N. Human Rights Council, where the United States happened to give up its membership not long ago. “One, is because of their domestic human-rights record—members of the council are supposed to hold the highest standards for protecting human rights. Two, is that they’re quite negative players within the council, in that they reject all initiatives that hold human-rights violators accountable for what they do,” Rivero said. Recently, heavy-handed measures by authorities are spreading on college campuses in China. Student activists who recently rallied for labor rights were sternly warned, and some have been “disappeared” by local security authorities. Beijing University, perhaps the best-known Chinese institution of higher education, now is led by a former state security official who has set up special units to reinforce disciplinary inspection, as well as controls that ensure all campus activities are in line with the Party. The controversial political vetting prior to the college entrance exam—a policy adopted in Mao’s era—will be re-established in Chongqing City (a city of 30 million in southwest China) and Fujian Province. The renewed measure has caused an uproar among many Chinese netizens, who use the epithet “mentally retarded” to describe the policymaker. Those who oppose the Chinese Communist Party (CCP)’s “Four Basic Principles,” have criminal records, or are “morally corrupt” will fail such “ideological and political morality assessment,” the Chongqing Daily says. These may seem archaic and ridiculous to Westerners, but the CCP officials still speak this way and try to force them on the next generation. Hong Kong, the Chinese territory once envied for freedom of expression, is now en route to becoming just another city in mainland China. In October, Financial Times Asia editor Victor Mallet’s visa was revoked soon after he hosted a local speaker for independence at the Hong Kong Foreign Correspondent Club, while last month, cartoonist Baidiucao’s sole exhibition in Hong Kong was unexpectedly canceled one day before its opening. Multiple media sources have also reported that visiting Chinese judges even held a well-publicized CCP branch meeting on the campus of the City University of Hong Kong, where they were part of the Master of Law program. 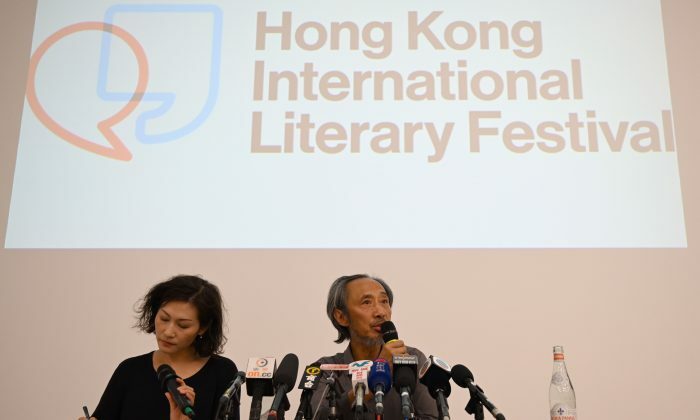 More recently, Ma Jian, a London-based dissident writer, almost didn’t make an appearance at the Tai Kwun Center for Heritage and Arts in Hong Kong, which canceled his scheduled event, but later reversed the decision because of public pressure. Amid these clampdowns, the CCP’s suppression of the Falun Gong spiritual movement has been among the stories receiving the least coverage by mainstream media. This year has seen an escalation of the CCP’s repression, as each month, hundreds of practitioners are rounded up by local police and sent to either detention centers or jail, according to Falun Gong’s website Minghui. Falun Gong, also known as Falun Dafa, is a Buddha school meditation practice. The Chinese state, its sports commission, and the Qigong Research Society, in particular, initially touted Falun Gong’s health benefits and its moral precepts of truthfulness, compassion, and tolerance during the early 1990s, when founder, Li Hongzhi, was giving public lectures across China. Because of its overwhelming health benefits, Chinese authorities, at one time, showered Falun Gong and its founder with numerous proclamations for its positive contribution to society. Falun Gong, accordingly, was the most popular health regime in the late 1990s. As reported in the U.S. News & World Report article, Falun Gong had become “the largest voluntary organization in China, larger even than the Communist Party.” This, however, was not necessarily good news for Falun Gong in a communist society. The honeymoon with the party-state came to an abrupt end in 1999, when then-CCP leader Jiang Zemin, learned that some 70 million to 100 million Chinese citizens, including many CCP officials and members, were followers of this Buddhist meditation practice. In April 1999, soon after some 10,000 Falun Gong practitioners appealed for their legal rights in front of Zhongnanhai, the seat of the CCP’s leadership, Jiang decided he needed to eliminate the group. According to a report in the Jamestown Foundation’s China Brief, Jiang set up a Gestapo-like organization called the “6-10 Office” in the Politburo on June 10, 1999, to be in charge of a nationwide campaign of persecution against Falun Gong. This 6-10 Office, in turn, created subordinate offices at all levels of the party and state throughout China, which were all given extrajudicial power to round up, detain, and sentence practitioners to labor camps, brainwashing centers, psychiatric hospitals, and other facilities. The nationwide suppression and massive propaganda campaign to vilify Falun Gong began July 20, 1999. And now, CCP is applying the same tools of repression against the Uyghurs that it’s been using against Falun Gong for almost two decades. Over the past 19 years, the CCP’s policy of persecuting Falun Gong has continued, resulting in more than 4,000 deaths due to torture and abuse, a large number of deaths due to forced organ harvesting, and millions thrown into jail and labor camps. Dr. Manfred Nowak, the U.N. Rapporteur on Torture, found in 2005 that two-thirds of reported torture cases in China involved Falun Gong practitioners. The CCP’s most startling crime is the horrific practice of organ harvesting from prisoners of conscience, which has been described by researchers as a cold genocide of Falun Gong practitioners. Despite resolutions adopted by both the European Parliament and U.S. Congress condemning organ harvesting in China, world leaders and democratic countries have yet to take concrete measures to stop this crime against humanity. Mainstream media have done little in the way of investigating and reporting these crimes. It’s imperative for mankind to realize that defending human rights is actually a matter of protecting the fundamental constituents of our humanity. Given its track record over the decades, the CCP is the biggest threat to humanity today. No one, perhaps, can put a season of distress in a more hopeful manner than the English poet Percy Bysshe Shelley, who once wrote: “O, wind, if winter comes, can spring be far behind?” Yes, spring is bound to arrive, the sooner the better.